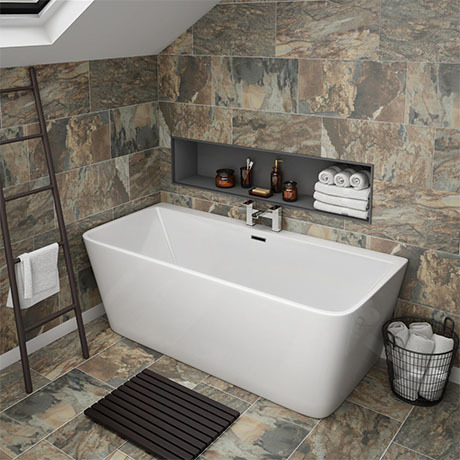 The superb Orion 1500mm modern back to wall double ended square bath for small bathrooms, bring a neat finish into your bathroom with this stylish space-saving bath. Manufactured from smooth 4mm thick white gloss acrylic. Looks great with one of our quality wall mounted or floor mounted free standing bathroom taps. Supplied with a integrated chrome finish overflow and click clack waste. "Great well made stylish modern bathtub, thank you."